This is a small trailer for a chess doc I'm working on. The chess masters name is Richard and he works in the Village in NYC. Thanks for all the great response on this vid!!! 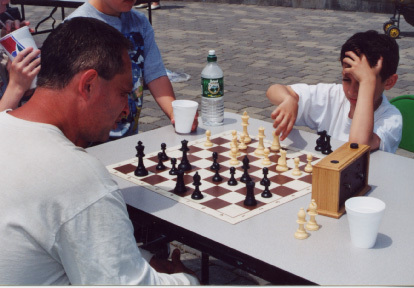 Richie has worked with the Hoboken chess club and is very good with the kids. Stop by the Hoboken Chess Club and meet Richie.